A few days ago I went to a condo owners meeting in Phuket. I don’t know about you, but I’m not a lover of meetings. Often people use them as an excuse to avoid making decisions - except deciding to have another meeting, of course. But I promised a client I would go on his behalf. So off I went. The meeting had been called to discuss much needed improvements to the common areas. And there was going to be a vote on increasing common area maintenance fees (CAM) from 45 Baht to 65 Baht per m2 - a 45 per cent increase. I thought this would be fiercely debated – but I couldn’t have been more wrong! The meeting was scheduled for 10 a.m. By that time only one other person had showed up. I asked the person in charge who else was coming. She said the developers were representing several owners and they’d be there soon. Another person turned up at 10.30 and helped himself to coffee and biscuits. By now, I was starting to get fed up. There were big financial decisions to make which would directly affect the investments of 52 condominium owners. Were they really not bothered? Finally, at 10.45, another 6 people sauntered in and the meeting began. As usual, the first thing on the agenda was to appoint a chairperson. You won’t be surprised to hear that nobody wanted to do it. So I volunteered just to get things moving. I was so sick of waiting. The first topic was the increase in CAM fees: The condo was almost out of money. And if the owners didn’t agree to pay more there would be no money for anything. I expected uproar. But there was silence. Not one person asked; why is the condo nearly bust? What happened to the money? Or, who is responsible for this? To be honest, I was shocked. I asked if people understood what was being discussed. There was some muttering. “It is your money not the developer’s” I said, with little response. So I cast my vote and things moved swiftly on - without a single question from anyone. Their current provider charges 2,500 Baht a month. The condo manager wanted to change to a new supplier charging 7,000 Baht a month. What channels would be included? Would the signal strength be better? Can we get Premier League Football? Does everyone have to get the same package? This was serious stuff. The subject was hotly debated for over 10 minutes. Eventually the juristic person was told to find out more information. As the meeting continued it became clear there were real problems with the way the condominium was being managed. 900,000 Baht (US$30,000) was missing from the sinking fund. It had mysteriously vanished and was unaccounted for. The juristic person said they would have to use what was left to pay for essential things like cleaning equipment, a repair to the water tank and some additional lighting. I pointed out that there wasn’t actually any money left to pay for anything. The sinking fund had been pretty much wiped out. So, if the CAM fees were not increased there would be no money to run the condo. One guy, who I think had been asleep, finally woke up and said: “I think we better find out how much all these things are going to cost before we agree to spend any money on anything. We should find out exactly what’s left and have another meeting!” he declared. And that was it. The meeting was over. We had decided to have another meeting! 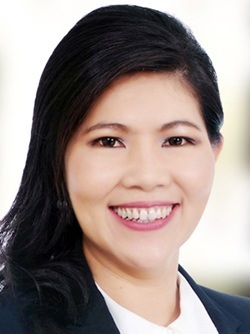 (by Rebecca Smith - real estate journalist and sales director for Phuket Ocean Villas and Ocean Villas Group). Typically, property developments in Bangkok have an emergency plan to cover different unexpected incidents such as fires, earthquakes and terrorism. With political unrests that have repeatedly taken place in the city, the need for an efficient emergency plan is heightened, according to Suphin Mechuchep, Managing Director of international property services firm, Jones Lang LaSalle. “Though current anti-government protests are aimed at occupying certain areas of Bangkok only and are not expected to become as severe as the 2010 riots, owners of property developments, particularly those that are located in or near the protest areas, should ensure that they have an emergency escalation plan anyway,” said Mrs. Suphin. The emergency escalation plan typically includes provisions of water supply and fuel for emergency power generators. Emergency power supply in particular must be provided at an adequate level to ensure not only that the buildings could still operate but also that IT servers of tenants within the buildings would not be affected. Provisions of food for on-site building management team are also necessary in case access to the property is blocked or needs to be blocked. The plan also covers effective communications. 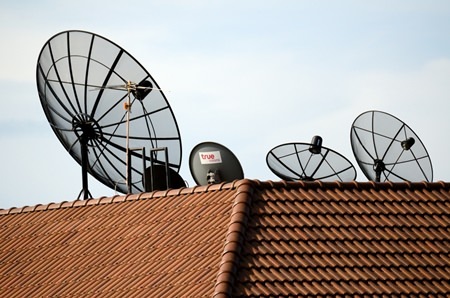 This will ensure that the building management staff understand and are clear about what actions to take in different scenarios, who to contact for help if needed and how to keep all parties updated of the developing situation, whether they are building owners, tenants or relevant authorities. In addition, many companies occupying space in an office building may have their own business continuity plan (BCP) to ensure continuing operations under adverse conditions such as political unrests. To ensure an efficient implementation of the occupiers’ BCP and the landlords’ emergency plan, both parties must work closely together. “Even if there were no political unrests, property developments would need proactive property strategies anyway. A comprehensive emergency plan is one of those strategies that could help minimize risks or losses from any unexpected incidents,” Mrs. Suphin concluded. Asian ultra-high net worth individuals are showing a keen interest in investing in Monaco property, as the Principality remains one of the safest places for wealth storage. Today Asia has a climbing number of uber-rich individuals, whose assets are expected to significantly increase in value over the next couple of years. As the 2013 Asia-Pacific Wealth Report shows, high net worth individuals (HNWI) with over $1 million in investable assets will see their combined wealth rise to $15.9 trillion by 2015. With so much money to invest, the attention of the wealthy is directed abroad. According to the 2013 China Private Wealth Report, 56% of respondents from a HNWI group have either started the process of emigration from China or are consider doing that in the near future. The reasons for that are vast: from ecological pollution to a stressful business environment in China. As a result, a large proportion of their wealth gets directed towards top locations for luxury residential investment, such as London, Switzerland or Monaco. “These are the consumers for whom money is no object and they spend on every kind of luxury goods and service,” says Michael Silverstein of Boston Consulting Group. Although rich Asian individuals spend their cash on a variety of luxury products, such as yachts or private jets, according to recent figures nearly 28% of their wealth is invested in real estate. Europeans, for example, have 8% of their wealth held in real estate. 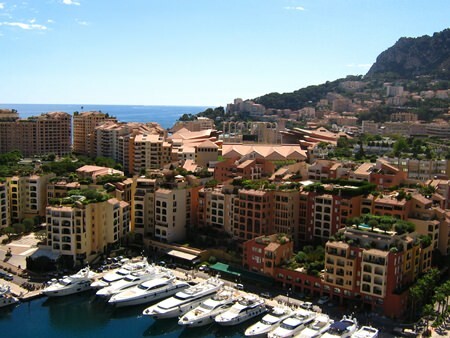 This opens incredible opportunities for luxury real estate markets, such as the one in Monaco. The Principality, with its clean environment, pleasant climate, jet set society and sumptuous Monte-Carlo property for sale can successfully use this window of opportunity which Asian investors now present. Asian HNWI are no longer looking for traditional luxury; their tastes have gone up a notch. “You’ve got a Chinese demographic with a lot of money now. That’s not entirely new. They’ve had money for a while. But their tastes are changing fast,” says Christine Lu, founder of Affinity China, a lifestyle platform for affluent Chinese travelers. Is your TV more important than your home?